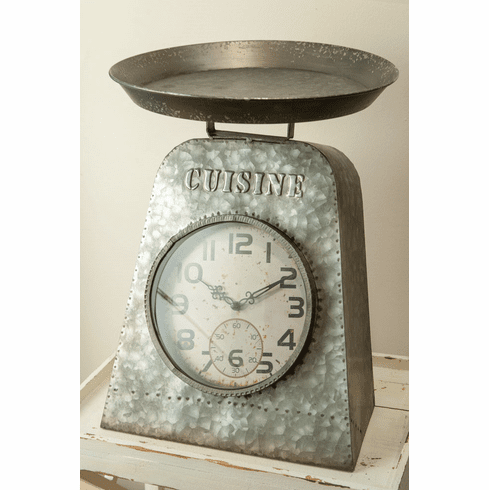 This fun table clock is perfect for your kitchen! Shaped like a scale, it is made of metal and features large, Arabic numbers. CUISINE is written above the clock face.